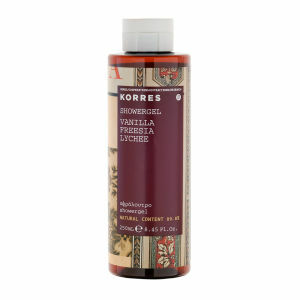 Refresh and invigorate skin with the Water Lily Shower Gel from KORRES. 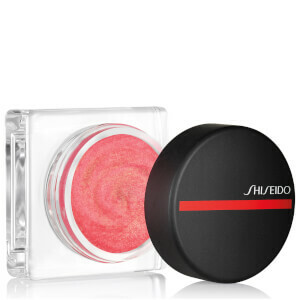 The lightweight gel gently cleanses skin, removing dirt and impurities to leave you with a clear complexion. Its unique formula contains wheat proteins which form a protective layer on the skin to lock in moisture and maintain hydration levels. Experience supple, healthy-looking skin that is smooth and subtly scented with a fresh water fragrance. E.N. Free from mineral oil, silicones, parabens, propylene glycol, synthetic dye, phthalates and alcohol. This product has not been tested on animals and all packaging is recyclable. Directions for use: Apply to wet skin and massage into a lather. Rinse thoroughly. I just love Korres products. A friend introduced me to them and now I don't use any other bodycare products. Leaves everything feeling silky smooth and smelling great.